A new television commercial is promoting Arizona as a business and tourism destination. 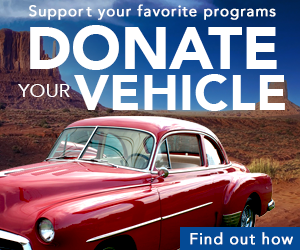 It features some higher-profile Arizonans who made the state their home. 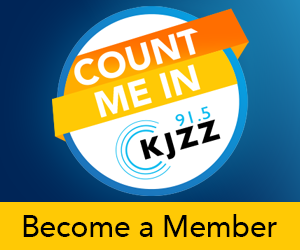 KJZZ’s Paul Atkinson reports. PAUL ATKINSON: The three-second ad debuted during Wednesday’s Republican Presidential debate. It starts with images of Monument Valley, the Grand Canyon and Mount Graham, and shows people skiing, mountain biking and riding a wave runner, then cuts to brief testimonials from the likes of former Cardinals quarterback Kurt Warner, US Airways CEO Doug Parker and other business leaders. 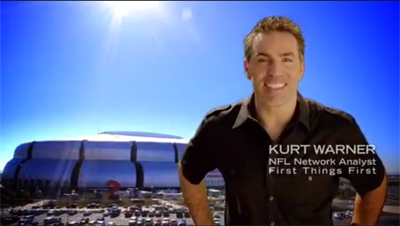 COMMERCIAL: (Kurt Warner) I came to play. I chose to stay. (Doug Parker) I came to work. I chose to stay. ATKINSON: The TV ad is airing on CNN at a cost of $300,000 split between the Arizona Office of Tourism and Arizona Commerce Authority. Kristen Hellmner is with the latter. KRISTEN HELLMER: The video is expected to reach 45 million households across the country, so its just an incredible reach for us. It’s going to air all of this week and all of next week. Just really putting Arizona on a national stage is great. ATKINSON: The focus of the television is to get people to come here for business and pleasure, with Governor Brewer making the final pitch. COMMERCIAL: (Governor Jan Brewer) Arizona, a great climate for business and vacation. Come. Explore Arizona.